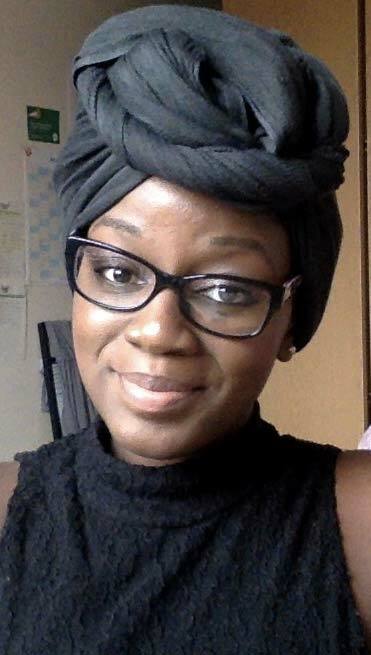 We are delighted to welcome on board Priscilla Mukiibi who is joining Shoko Press as a Marketing Executive intern for a few months. Priscilla has been using internships to help build her experience and knowledge of various industries with the aim of starting her own creative business. Internships are a great way to get your foot in the door and get an insight into an industry you are interested in building a career in, so we asked Priscilla to introduce herself to you and share some of her insights and tips to embarking on what can be a highly rewarding experience. 1. Please introduce yourself, telling us a bit about your background, who you are and what you do? My name is Priscilla. I’m currently 24 years old and I graduated from university in the summer of 2017. Being 24 and just starting out in my career, I feel years behind my peers most of whom graduated 2-3 years ago and are well into their careers, and some already on the property ladder. Despite this, I want to emphasise the importance of staying focused on your own path and giving yourself credit for what you have achieved thus far, regardless of what others your age or others have done with theirs. There is no such thing as a [Copy + Paste] human so there should be no expectation to be on the same level as someone who is completely different to you (as much as Instagram and YouTube videos will make you believe). I believe God has put you in the position you are in now for a reason so it’s best to support Him in his plan for you. So going back 7 years when I was first choosing what A Levels to study, I knew my future was in fashion. I didn’t know at that time whether I wanted to be a buyer, a designer or a catwalk producer – I just remember idolising Christian Dior, Coco Chanel and Oscar de la Renta for their quintessential style and glossy magazine spreads. I loved how their brands told a personal story, whether it was the turn on feminism for Coco Chanel or the romanticism feminine luxury from an Oscar de la Rental gown, that he felt the industry lacked. Either way, I could spend hours browsing their collections, reading up on their history and scouting for related exhibitions in London knowing I wanted my own brand to tell a story also. Nonetheless, I grew up in a very strong Ugandan household where I was very much in tune with my culture and followed a line of family members who were very academic going back to my grandfather who was a chief engineer in Uganda to my older sister who is a chemical engineer. The idea of fashion in my family was entertained as an extra-curricular interest and not a secure career. So when it came to choosing my degree the following year, I found myself perplexed between choosing what I was loved versus what would give me a good foundation to my future. So to the detriment of my family, I decided to take a gap year to really decide what I wanted. During this gap year, I embarked on my first corporate job. Aged 18, I was working a 9-5 in the city under the Director of Corporate Affairs and crossed paths with the CEO on a daily basis. I was really a small, small fish in a big pond – but it was this scary life experience that really shaped me (and matured me) beyond my years, and exposed me to the business world. It was in this time; I decided to combine my love for fashion with philanthropy with a stable foundation of a business degree to build my future on. So after researching the best school for myself and my academic priorities, I applied for a degree in International Business from Loughborough University where I knew I could develop my business idea through enterprising activities, challenge international models of business with the content from my degree and most importantly, study abroad in the fashion capital of the world! During my time at Loughborough, I spent a placement year studying abroad in Paris and Grenoble gaining a diploma in Fashion Management, I pursued my business idea by entering university competitions every year and gaining feedback from a judging panel, I spent my graduate summer in Portugal attending the European Innovation Academy learning from industry experts such as Facebook, Google and Silicon Valley and I secured a job in London at a post tech business accelerator partnered by UCL university. So currently, I am managing working full time, interning for Shoko Press and enhancing my own business idea. 2. Since graduating you have held several internships, what are the advantages of interning, and what are some of the key lessons you have learned so far that will benefit your future career? It may be idealistic to think of spending your summer sleeping in, travelling and chilling with friends after spending a hard year studying. Trust me, I LOVE to sleep but I’m also aware of things that will give you instant gratification but will regret later on for not taking advantage of. And not using your summers wisely is exactly this. Whilst I do think it’s important to rest and take time away from study, I would encourage getting some kind of new working and/or travel experience every year, even if it’s only for a month. Your time as an intern/student is the most flexible, whole-hearted, and dare I say naïve (?) you are ever going to be in your life. This is the time to learn commitment, responsibility and make unlimited mistakes whilst not being held solely accountable – people forgive students! I would also encourage you to get a paid internship because though you are not fully qualified yet, you still are of worth to the company and it is this worth that will be conveyed on your CV when you when you are looking at a graduate salary. Having a wealth of experience behind you also allows you to be much picker when it comes to your career job in future, as you would’ve differentiated your strengths from your weaknesses, all in all increasing your confidence and career progression. 3. You eventually want to set up a business and work for yourself, what is your biggest motivator for taking the steps towards pursuing your dream? I would say my number one motivator is my family, particularly my mum and dad who came to the UK as immigrants and re-educated themselves and sought successful jobs, whilst raising 4 children. Because of them, I’ve never seen my race or background as a hindrance to chasing my dreams. Instead, it’s just shown me the outcome of hard work wherever you come from. I feel as though everyone will face unique obstacles in the quest to accomplishing their dreams, but I find that being oblivious to stereotypes or societal expectations of my race/background and surrounding myself with people who inspire me as well as my Faith, has kept me moving forward in the right direction. Your brain does not know the difference between a dream and reality so the more you dream, the more likely you’ll make it a reality! My dream to is to make an impact in the sustainable social development of young people and women in Uganda. I realise I have had a privileged upbringing in the UK compared to many of my family and age-mates back in Uganda and I feel a duty to pay it forward using fashion and business as an instrument to do this. I hope this will result in a high-end clothing collection sold in the UK. 4. What is your role at Shoko Press, and what do you hope to achieve during your time at the business? I’m working for Shoko Press as a contracted intern under the role of Marketing Executive. I was taken aback by the beauty and originality of the Shoko Press publications when I first came across them at an expo back in October 2017. My immediate thought was “Everyone should see these books” because, at that point, I had never come across a publication that solely focused on the beauty of the everyday black women who looks like you and me. Though I love what Naomi Campbell, Beyoncé, and Michelle Obama have done for the black community in their own right, it important for everyone to acknowledge black beauty does not come with wealth, fame or magazine shoots. It comes in our identity and loving the richness of culture, traits, and equal talents. I want these publications to be celebrated by the mainstream. I’m hoping my time with Shoko Press will get these books the recognition they deserve, build brand awareness around Shoko Press whilst also simultaneously drive sales to allow further publications to be produced. 5. What tips would you offer those readers who are interested in getting an internship but not sure where to start looking for one? I would also say be open to an opportunity that you may not think will be directly linked to what you want to do, because life has a way of rerouting your journey for the best. I never thought working a 9-5 in the city aged 18 would ever have any relation to fashion, but I learned so much about communication, business, and finance that is imperative to making any fashion business successful. You also never know where connections will lead you. My current manager in tech happens to know the PR manager for Christian Dior Paris – so there may be a way into your desired industry even in industries that seem parallel!